If you are serious about learning English and want to improve it, you should go to Matt and take lessons from him. He provides enjoyable and helpful lessons so don't hesitate to take lessons from him. In my experience he was so helpful. Thank you so much teacher Matt. 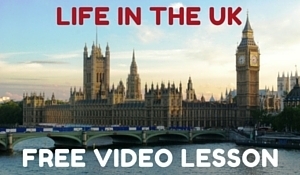 British English Online provides one to one English lessons to adults learning English. Hourly lessons are taught using Skype and online materials. You can arrange the time of your lessons with your teacher and relax as you learn to speak English from home. Matt Thompson is a Director of Studies and an experienced British English teacher who can help you achieve whatever study goals you have. Do you want to improve your grammar? Do you want to learn to speak English like a native? Do you need to pass an exam? Learning English online is easy and with one to one lessons, you will see fast results. There are no travel or accommodation costs and Skype is free. Learn from the comfort of your home, when you want to. Lessons are specified for your needs, so that you can learn faster. High quality lessons with an expert teacher and teacher trainer. Learn British English with a British accent. The lesson materials are created using a Google document so you and the teacher can see the same materials online at the same time. You can practise anything from the lesson in your own time, included guided access to thousands of English learning websites for additional study. Upon completion of your course, you can receive a record of your study, providing details of how much you have improved. Success! Now check your email to confirm your subscription and get your free lesson.